God bless you and richly pour out His abundant grace as you celebrate Thanksgiving. We may be apart, but in our hearts we are one. We have returned from Africa and are in British Columbia where we will we spend the next few weeks with TC Western Canada. We come to you with hearts of thanks-GIVING as we celebrate the grace and goodness of God. We may be away from family, kids & grandchildren, but we do celebrate with our TC family, rejoicing for friends and partners like you with RADICAL GRATITIUDE. 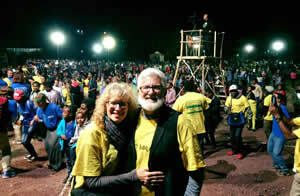 The final night climaxed with nearly 30,000 people on the festival grounds as thousands packed the altar for prayer. Not only were people touched as they encountered Jesus Christ, but dynamically engaged the power of the Holy Spirit. The reach of this festival will extend far beyond these altars. God is raising up a fresh voice, the young lions of Ethiopia to carry HIS message to the unreached. Tens of thousands packed Mekane Jesus Seminary grounds and flowed to the front to make first-time confessions of faith in Jesus Christ. 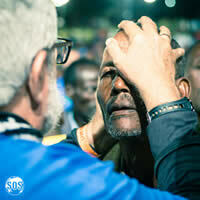 On the street, outreach teams ministered to over 6,000 people. M-s-l-ms, orthodox, atheist & animist heard the Good News and thousands confessed faith there on the street as we saw supernatural healing and miracles. You joined us in prayer and fasting, the Mission SOS team interceded, and God gave supernatural favor in an impossible situation. Our Teen Challenge Africa centers have forged a powerful partnership with Mission SOS, led by Johannes Amritzer, a 25-year graduate of Teen Challenge. We had 17 leaders from 9 nations and continue to partner with MISSION SOS to raise up leaders in evangelism across the continent. Our 200 missionaries carried the Word to the street every day. 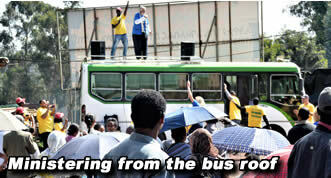 Some days, we had to stand on top of our bus to minister to the large crowds. 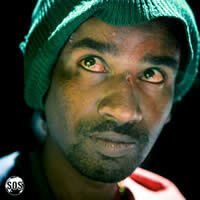 Street ministry was not without opposition, often hassled by police or pelted with rocks & insults by militants. One day, during altar call, militants broke through our prayer circle and began drag away those who were inviting Jesus into their hearts, from the altar. As the rocks flew from overhead, bloodying two of our team, the disturbance escalated to the point that we moved the team to the bus for safety. 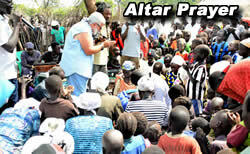 We finished the altar prayer with those that had not been dragged away by militants. 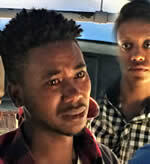 The police came saying what we preached was a crime and they were taking take us into the station. Two police vehicles blocked our exit -- as they threatened our driver and translators. We prayed and showed our permits. As they detained us, police officers brought two of the boys who had thrown rocks. They got on the bus weeping and asked for forgiveness. We shared the love of Jesus with them. The police detained us long enough for Fernando to lead both boys to Jesus. We returned home, some bruised and bloodied, but rejoicing in God’s grace at work, even in opposition! Souls are more important than rocks! In Gambella prison, we tried to get permission to minister in the compound, but they put us in a hut that could have held 150, but 250 men crammed in as others stood listening at the windows. Suspicious stares melted as the Holy Spirit worked. When it came time to invite men to confess faith in Jesus, 169 stood and came forward to pray. This week, as Pastor Banak returned to the prison, there was such a change in the lives of 11 of the prisoners who had made commitments, that they released them to Banak. We need Amharic and Nuer Bibles and follow up material for the prison. In my country, we set aside the 4th Thursday of November every year as Thanksgiving, a holiday for the giving of thanks. Unfortunately what the Pilgrims initiated as a time of prayer and reflection has evolved into a flurry of food, football and aimless fun, with focus not on eternal values, but meandering preoccupation with"stuff." Thanksgiving is meant to be more than gathering around a table lavishly set with turkey, stuffing (or filling) and all the trimmings, pies and desserts. For many, like the refugees we met in the South Sudanese camps, thanksgiving is a heart grateful for a one-liter bottle of water, a small bowl of rice and a few crumbs, hopeful that no rebels will show up with a machete and no bombs will fall tonight. Certainly, those Pilgrims who first stepped onto American soil are a great example of gratitude. After arriving in the New World, following years of struggle, suffering, harsh winters, starvation, and disease, no family was left untouched by death. That is the question. Why does God want us to give thanks? Is He some cold, calculating, unfeeling deity -- a celestial egomaniac sitting on a cold throne demanding praise? Nothing could be farther from the truth. He commands praise, not because He needs it, but because we need it! You may feel like there is no grounds for thanks this year but even through financial hardship, disease, divorce, or betrayal -- God is still there. We find the strength to overcome, only when, through thanks, His power is released and we begin to see the goodness of a sovereign God. James reminds us that in our trials character is shaped, so that the perfect life of Christ is worked into us. James has the courage to tell Christians to consider the hard sufferings opportunities for joy. To “give thanks” even in bad times. Gratitude that cannot be tested is ”gratitude” that cannot be trusted because it is feeling-based, circumstance-driven or even worse…grounded in “self. That’s why the Bible gives us such a powerful picture of radical gratitude. Thanksgiving is the voice of Jonah crying out from the belly of a whale. “But I, with shouts of grateful praise, will sacrifice to you. -- I will say, 'Salvation comes from the LORD.'" Jonah 1:2:9. Even in his failure it was not too late to thank. It is the cry of Paul & Silas from the depths of a prison cell, beaten and wrongly accused as they worship till the foundation of the prison is shaken. It was the command of Jehoshaphat. Judah was surrounded on all sides by enemies. The odds against them were overwhelming. Outnumbered, and out-manned the enemy was poised to overrun Israel. “The king appointed singers to walk ahead of the army, singing to the Lord and praising him for his holy splendor. This is what they sang: “Give thanks to the Lord; his faithful love endures forever!” Chronicles 20:20 . It is in those moments, when against all odds, the sounds of praise replace murmuring and complaint, that the power of God is released in us and upon us. That is when we finally begin to understand that everything I ever really needed was always only in Him. What can you find to give thanks about today? For tens of thousands, the tents & huts of Kule Camp are the last hope for refuge. 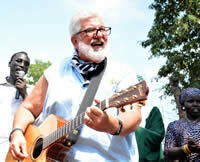 Our team invaded the hopelessness of the refugee camp with Good NEWS! There are over 55,000 in the camp with subsistence food rations of rice and water. As desperate as their need for food and safety,they cry of the heart of many was -- for HOPE. The protests were silenced as people forgot about politics and tribes long enough to hear the promise of the Lion of the Tribe of Judah. 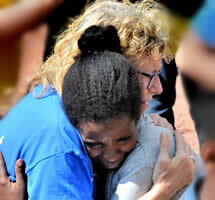 Costs for ETHIOPIA OUTREACH topped $20,000. 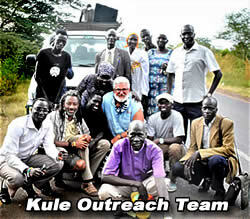 Your gift of $100 or $200 will help us to cover the costs for the 16 Africa TC leaders who joined us in Ethiopia, the Gambella ministry and outreach in Kule Refugee Camp. Please help us to end 2017 without a deficit--poised for a busy 2018. US President, Abraham Lincoln Wrote, "I do invite my fellow-citizens in every part of the United States, those who are at sea, and those who are sojourning in foreign lands, to set apart and observe the last Thursday of November next as a day of thanksgiving and praise to our beneficent Father who dweller in the heavens. 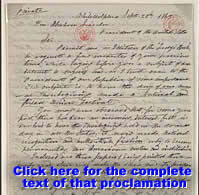 Click for the entire text of the original proclamation. George Washington authorized the first Thanksgiving Day in 1789, 74 years passed without another such day of thanks. Then Abraham Lincoln established the holiday as an annual event in American life. His Thanksgiving Proclamation is worth reading today. In 1863, CRISIS led President. Abraham Lincoln to reaffirm George Washington's declaration to call the USA to prayer and Thanksgiving. We may not be in a time of CIVIL WAR in 2017, but the circumstances of this divided nation, the war on terror, Iran, Afghanistan and Iraq, and the world economy in troubled times ,call us to a fresh infusion of prayer and THANKSGIVING. Please pray for us as we prepare to post our 2018 schedule… Puerto Rico in January, Lebanon in March, Mission SOS festivals in Malawi and Rwanda in June and July as well as opportunities in Australia, Kazakhstan, and other sensitive nations we can't mention Online. 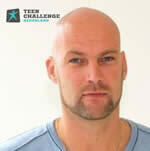 Looking forward to a wonderful time of ministry as we partner with Teen Challenge in Western Canada. We will work with the British Columbia Combined Mass Choirs, as well as ministering at banquets, church services, and SPIRITUAL EMPHASIS for the students. After gathering tens of thousands on the festival and with thousands who met Jesus in the street meetings . . .Now comes the important work of follow-up and discipleship. Pastors and churches are coming together for the critical strategic work of taking those who packed the attars for decisions and in turn now make disciples. 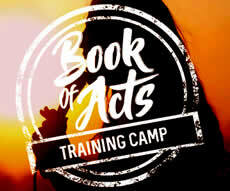 Pray for students of The Book of Acts Training Camp. Over 2,500 young people attended the training in Addis Ababa. Pray as they take their training in supernatural ministry to transform their cities, their nation and culture. May pastors find effective ministry opportunities to encourage and empower therm to take their training to the next level. The director of the The Gate (youth outreach centers), Walter Alderden (see picture) locations here in the Netherlands was diagnosed with an aggressive form of cancer in his sinuses. Though is has not spread, because of the difficult location (near his brainstem) makes the surgery to remove the tumor extremely complicated. For this specific procedure a hospital in Italy has been found who are specialized in this area. He will have surgery on the 6th of December. Please join with us to pray for full recovery and his family (his wife Annette and their two teenage boys Asher and Senna)? Believe with us for a touch divine touch of healing! Another of our key staff is under attack with Cancer. One of my Senior Directors, Pray for Ricardo as I hate to see him suffer so much. Please pray for the continuing hurricane recovery effort at Teen Challenge Puerto Rico, for skilled teams and finances to complete the repairs. Please to pray for electricity, finances, food, water and ministry opportunities. Not only are they working hard to restore their own devastated facilitates, they continue to reach out to the community and minister to the needs across the island. Has your church or Teen Challenge center considered sending a construction team to Puerto Rico? As these great leaders head back home to their nation, please pray for them as they engage the Supernatural ministry paradigm we saw at work in Ethiopia and continue their Teen Challenge Ministry in Africa. This is the next wave of evangelists & leaders. Be a part of the miracle. Your prayers make a difference.